•	Keeping your air filter clean. •	Scheduling a professional cleaning and tune-up once a year. •	Clearing your outdoor system and indoor vents of debris and blockages. •	Installing a programmable thermostat. •	Ensuring seals are clean and tight. •	Verifying proper operating temperate: 37°-40°F in the refrigerator and 0°-5°F in the freezer. Keep things from boiling over. •	Setting water heater temperature to 120 degrees. •	Properly insulating your tank. •	Taking a shower instead of a bath. •	Turning hot water – and your heater – off when you don’t need it. Hanging clothes on the line rather than running the dryer, the second largest energy-consuming appliance in your home, can keep your home and energy bills from becoming too hot to handle. Using your stovetop or oven in summer’s heat can really put a strain on your air conditioner and electrical system. Save some dough and maintain comfort by firing up your grill instead. Turning off items that are not in use rather than letting them run –lights, laptop and mobile devices, TVs, radios, and more – can take a lot of pressure off your electrical system. How much? Lighting in the average home accounts for 12 percent, and electronic devices another 10-15. Whew! Vampire power can really drain you, sucking up 5 percent of your power bill or more – all for nothing. Among the biggest offenders putting a strain on your electrical system (even when they’re turned off): TVs, computers, microwaves, cell phone chargers… anything with a power adaptor, indicator light, standby function, or clock. Unplug these items or plug them into a power strip, flipping them off when they’re not in use. Your electrical system can suffer stress from issues outside of your home as well. Are you closing your eyes to these electrical stressors from your home’s great outdoors? Outdoor lighting fixtures are heavily used and a great place to take a load off. 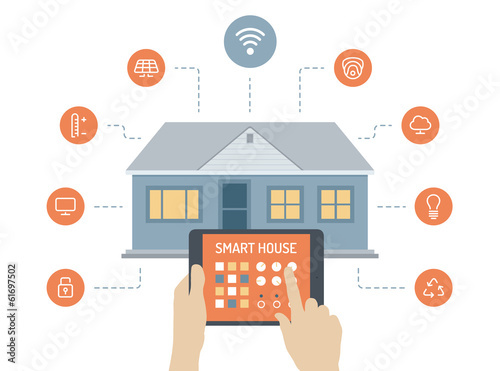 Updating to more modern technology for outdoor lighting such as motion sensors, timers, and photocells for sensing daylight, in addition to CFL and LED bulb technology, can not only save a pretty penny in energy wasted on unnecessary illumination, but boost security as well. Is the outdoors infringing on your indoors? Your home’s thermal envelope – the outer walls, windows, doors, floors, ceiling – may need support in the form of adequate insulation and air sealing to keep your home comfortable and help you avoid the stress of unnecessarily high energy bills. Ease the hardship on your wires and your wallet by putting this on the top of your priority list. We a NAE believe your home is your castle - enjoy it, customize it, make it reflect your taste and values. 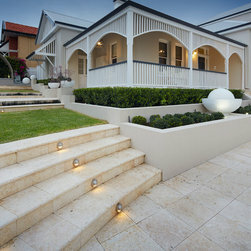 Outdoor lighting can enhance the beauty of your landscaping and the usefulness of outdoor living spaces. A variety of lighting options enables you to highlight landscape features, improve safety on walkways and stairs, and showcase the design of your home. NAE will work with you and/or your landscaper to design an outdoor lighting plan that meets your practical needs as well as your personality tastes and desires. Regardless of if it’s creating a soft moonlit glow around your pool, spotlighting architecture or lighting a pathway for safety, we can design a plan to achieve the effect you have in mind. An economical and smart solution to increase the safety of your home is security lighting. If securing the safety of your home and loved ones is a priority, NAE will design a plan that strategically places light in areas that will help increase the level of safety around your home. Wall lights added to your outdoor lighting system can not only enhance safety, and define edges, it can also greatly enhance setting ambiance. House lights installed around windows, entry ways, doors, etc. are wonderful deterrents for thieves. Flood lights and motion lights have always been popular options for homeowners looking to amp up safety. However, house (or structure) lighting, pathway lighting, wall lighting, step lighting, etc can be added to the system in order to FULLY secure your property. Walkways, driveways, pathways, walking trails or sidewalks are hard to see when it gets dark out. Light them up with subtle incandescent lights and enjoy taking walks at night safely. Illuminating the path and the landscape edges enhances landscape ambiance and ensures safety. Not only does the property truly come alive when subtle lighting is installed in strategic places, it also enhances the safety of the property (see above). Walking without tripping is reason enough to light your path, but the added benefit of the safety and beauty they bring your property are enough to convince most homeowners to install them. Spotlight trees around your property from the ground and you will see the tree take on a subtle glow when night falls. ‘Up lights’ are installed at the base of a tree and adjusted to shine up on to the canopy of branches and leaves above. The effect is simply beautiful. Another tree lighting option is to install ‘down lights’ high up in the branches of the tree. Down lights are pointed down, but rather than spotlighting the tree itself, these lights are intended to shine down on your yard. The effect of the light high above shining through the lower hanging branches of the tree on to the yard is ethereal. It creates a moonlit glow year round! Entertaining outside is a blast when you have a well lit yard. Utilizing up lights can add a tremendous amount of texture, contrast and interest, while down lights efficiently mimic natural moonlight and enhance the effects of other lights. Let us advise you on what types of lighting will help you extend your enjoyment of the outdoors well into the night! 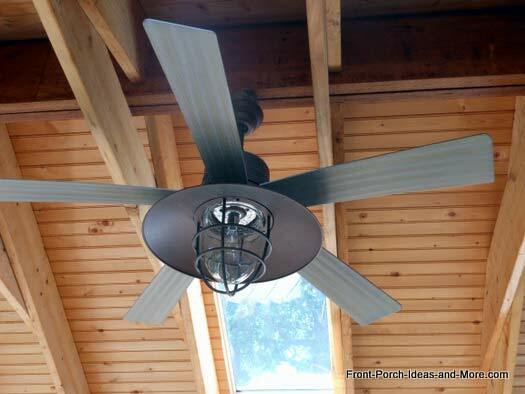 NAE can install lighting as well as run new electrical hook ups for outdoor kitchens and ceiling fans, as well as install new switches and outlets. If you desire lighting that turns on automatically at a set time, we can add a timer to your system. If you want security lighting, up-lights, down-lights, or spotlights in every shape and style, we can do it. If you desire dimmers and other specialty lighting fixtures or controls to create just the right mood, we can do it. For dramatic outdoor lighting of unsurpassed quality and durability at an affordable price — NAE can do it. We encourage you to view our lighting designs and installations in our photo gallery. Call us for a free consultation and outdoor lighting design plan today.